University of Maryland researchers have demonstrated a successful prototype of one critical component for affordable small-scale desalination: an inexpensive solar evaporator, made of wood. Steam rises off of a piece of wood under a hot lamp. New UMD research shows wood can form a key part of solar evaporators which use solar energy to turn salt water into drinking water. Image Credit: John T. Consoli, UMD. Click image for the largest view. Liangbing Hu, associate professor of materials science and engineering and affiliate of the Maryland Energy Innovation Institute explained using wood to make one critical component for affordable small-scale desalination, an inexpensive solar evaporator, the evaporator generates steam with high efficiency and has minimal needs for maintenance. Interfacial evaporators are made of thin materials that float on saline water. Absorbing solar heat on top, the evaporators continuously pull up the saline water from below and convert it to steam on their top surface, leaving behind the salt, explained Hu, who is senior author on a paper describing the work in Advanced Materials. But over time salt can build up on this evaporative surface, gradually degrading performance until it is removed, he said. Hu and his colleagues minimized the need for this maintenance with a device made out of basswood that exploits the wood’s natural structure of the micron-wide channels that carry water and nutrients up the basswood tree. The researchers supplement these natural channels by drilling a second array of millimeter-wide channels through a thin cross-section of the wood, said Yudi Kuang, a visiting scholar and lead author on the paper. The investigators then briefly expose the top surface to high heat, which carbonizes the surface blackening it for greater solar absorption. “Using natural wood as the only starting material, the salt-rejecting solar evaporator is expected to be low-cost,” added research associate Chaoji Chen. The evaporator approach also is effective in other types of wood with similar natural channels. The researchers now are optimizing their system for higher efficiency, lower capital cost, and integration with a steam condenser to complete the desalination cycle. 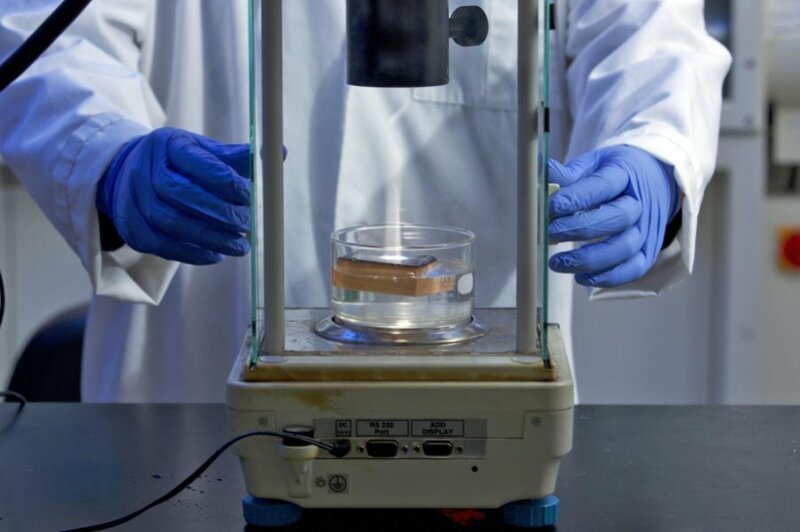 Hu’s lab also recently developed another solar-heated prototype device that takes advantage of carbonized wood’s ability to absorb and distribute solar energy – this one created to help clean up spills of hard-to-collect heavy oils. “Our carbonized wood material demonstrates rapid and efficient crude oil absorption, as well as low cost and scalable manufacturing potential,” said Kuang, lead author on a paper about the research in Advanced Functional Materials. Among other projects, his lab has created light and effective “nanowood” insulating materials. It also has engineered “super wood” that is 12 times stronger and 10 times tougher than natural wood, and potentially may replace steel, titanium or carbon fiber in certain applications, he said. With billions of people in need of safe potable water this kind of innovation is very welcome indeed. One would think coming up with a condenser should be easy enough. That would leave the incentive to get them built distributed and instructions on keeping them clean and safe. No hard or insurmountable problems are obvious. For the sake of a healthier world population lets hope this technology gets good market legs, and soon. 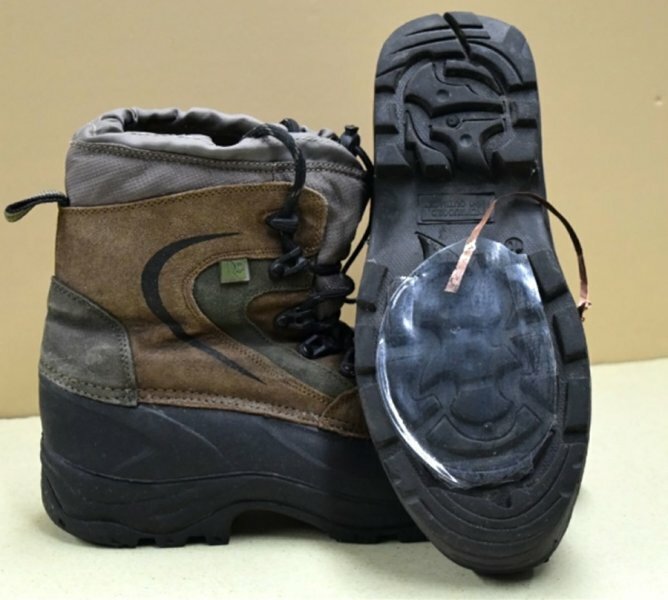 University of California – Los Angeles (UCLA) researchers have designed a new device that creates electricity from falling snow, a first of a kind thing. The device is inexpensive, small, thin and flexible like a sheet of plastic. Thus its practical in a specialized kind of way. Its another way to power things where cold and precipitation occur together. Boot with device attached. Image Credit: Abdelsalam Ahmed, UCLA. Click image for the largest view. One point not made really clear is the device is going to need a steady supply of charged snow. Once the snow offloads the charge the device is going to need a fresh shot of snow. A new Northwestern University study quantified the differences in air pollution generated from battery-powered electric vehicles versus internal combustion engines. The researchers found that even when their electricity is generated from combustion sources, electric vehicles have a net positive impact on air quality and climate change. The U.S. and other more developed countries with air pollution regulations in effect now for close to 50 years aren’t as attuned to this segment of vehicle electrification. But much of the developing world and most noticeably eastern China have immense health concerns from air pollution where vehicles are part of the source of particulates and noxious gases. So, if you have ever wondered how much electric vehicle (EV) adoption actually matters for the environment, a new study provides evidence that making this switch would improve overall air quality and lower carbon emissions. The research has been published in the journal Atmospheric Environment. Horton is an assistant professor of Earth and planetary sciences in Northwestern’s Weinberg College of Arts and Sciences. Jordan Schnell, a postdoctoral research fellow with the Ubben Program for Climate and Carbon Science in the Institute for Sustainability and Energy at Northwestern, was the paper’s first author. The photos out of today’s Chinese urban areas with what reminds western baby boomers and older folks looks far worse than what we saw in the LA Basin, the eastern slope of the Rocky Mountains at Denver or even a still day in most any U.S. city of the 1960s. The U.S. Clean Air Act is one of civilization’s better ideas.